How the music industry was revolutionized and is still trying to adjust to the changes and speak to the theories and similarities to the literary world. The pros and cons of self publishing vs. traditional publishing. Marketing/promoting: Traditional media vs. underground, blogging and social media, etc. 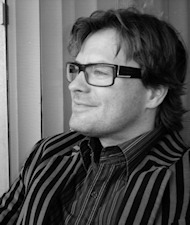 Pros and cons of hiring a publicist as a self published author. What is money well spent in promotion. 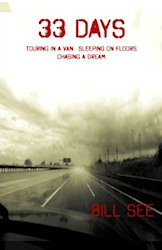 Bill See has just released his first book “33 Days: Touring In A Van. Sleeping On Floors. Chasing A Dream,” a memoir about breaking away from a turbulent upbringing and going on tour in a tiny van across the U.S. and Canada in the summer of 1987. Bill has a unique perspective having watched the music industry revolutionized by the internet, and with the advent of self publishing hitting the literary world, he sees a lot of similarities.